for wrongful dismissal, our experts at T A Matthews will guide you through the process. From the outset of your matter a dedicated member of our team will to take you through the whole process and we will keep you informed as to the cost you incur for our professional services. Our team have experience in most areas of the law, including employment law. 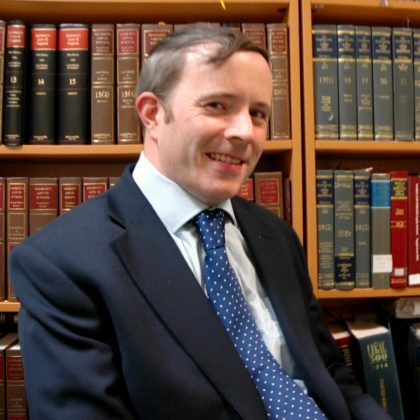 Jonathan Davies our solicitor, has in excess of 13 years’ experience in civil litigation. The exact cost will vary depending on individual circumstances and the complexity of the case. The following are examples of the various complexities. We aim to make the whole process as simple as possible and will always be happy to go that extra mile to make sure you have the best possible chance with your case. For a straightforward case (which is settled before Employment Tribunal proceedings are issued), our fees are typically £1,000.00 to £1,500.00 plus VAT. For a case which is more complicated, which involves Employment Tribunal proceedings or a case involving a number of witnesses then typically fees are likely to be in the region of £5,000.00 to £8,000.00 plus VAT. Should it be necessary for us to attend a Tribunal Hearing there would be additional charges of £1,200.00 per day (excluding VAT). Disbursements – These are costs related to your matter that are payable to third parties, such as court fees. We handle the payment of the disbursements on your behalf to ensure a smoother process. Court/Counsel’s fees estimated between £2000.00 to £4000.00 per day (depending on experience of the advocate) for attending a Tribunal Hearing (including preparation). The time that it takes from taking your initial instructions to the final resolution of your matter depends largely on the stage at which your case is resolved. If a settlement is reached during pre-claim conciliation, your case is likely to take 6-8 weeks. If your claim proceeds to a Final Hearing, your case is likely to take 26-52 weeks. This is just an estimate and we will of course be able to give you a more accurate timescale once we have more information and as the matter progresses. Employment law is constantly changing and the repercussions of getting it wrong are often very significant indeed. Awards for unfair dismissal can be substantial which makes getting the right advice critical; for both employers and employees. Time limits for making and responding to claims are also notoriously short, which again can put considerable pressure on both parties.